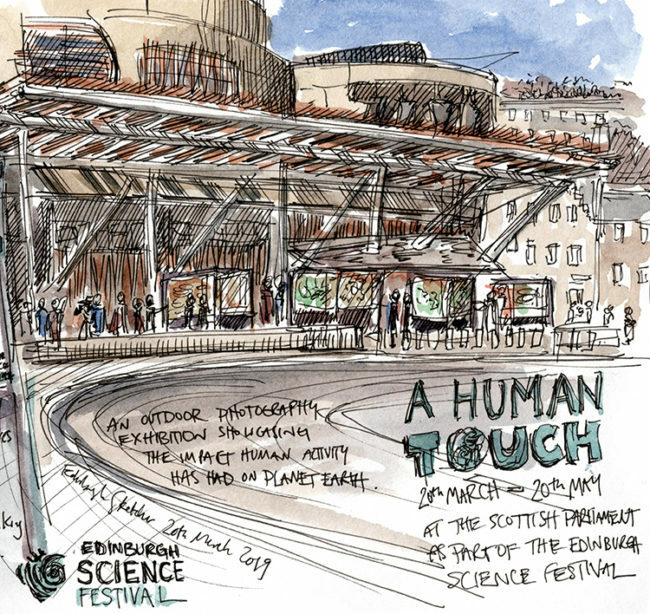 This morning I was at The Scottish Parliament for the unveiling of ‘A Human Touch’ – an outdoor photography exhibition showcasing the impact human activity has had on the planet. 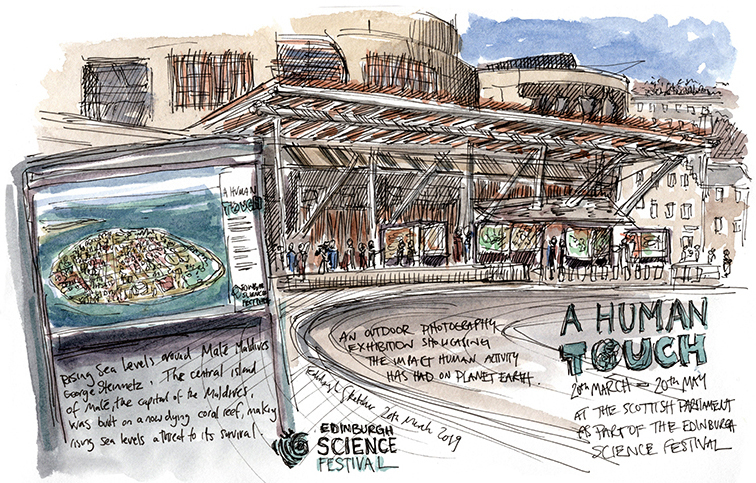 As part of The Edinburgh Science Festival this free open air gallery of stunning artwork will be on show until 20th May. Amazing to see and beautiful in their own right each image tells a story that will make you think about your own impact on the earth. A must see.